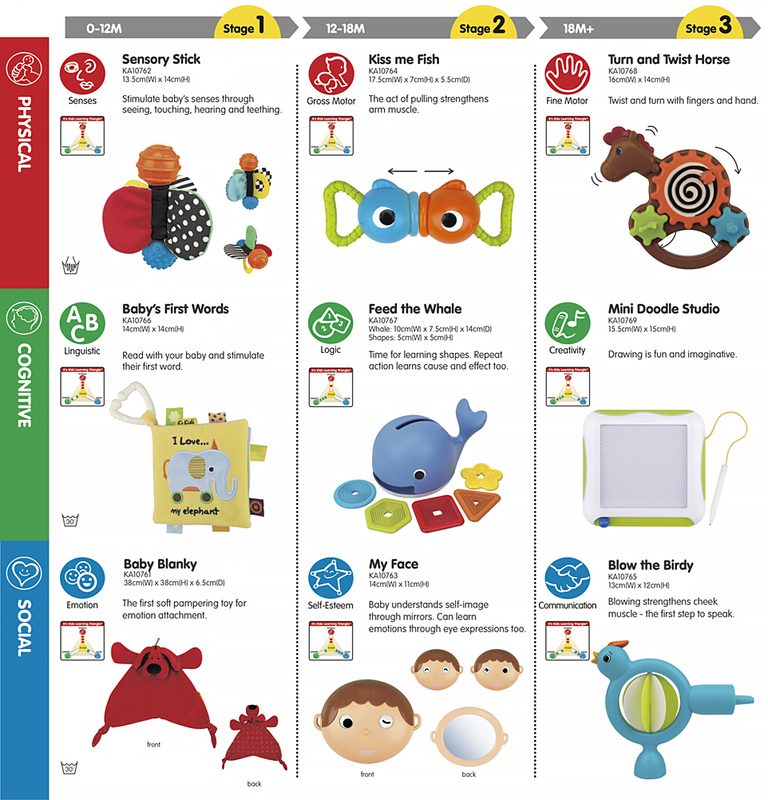 Stimulate baby's senses through seeing, touching, hearing and teething. The act of pulling strengthens arm muscle. Time for learning shapes. Repeat action learns cause and effect too. Baby understands self-image through mirrors. Can learn emotions through eye expressions too.